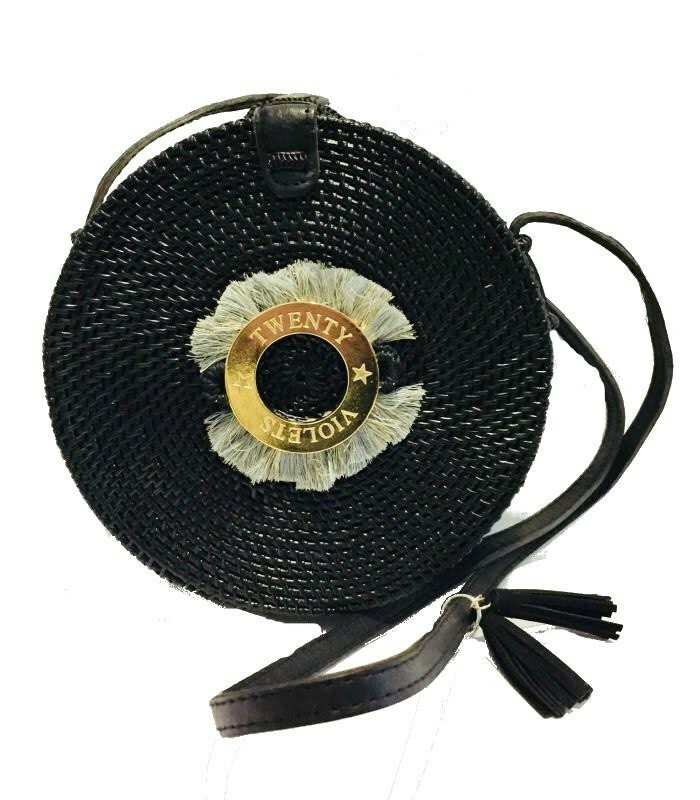 Black round rattan bag (very resistant natural fiber) handmade in Bali. 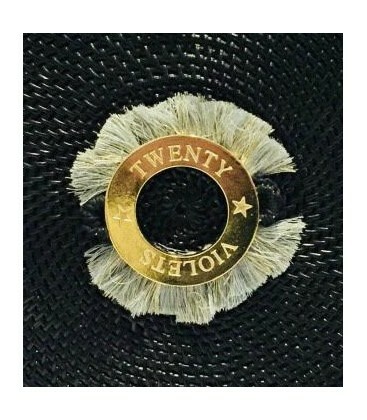 Metallic plate with Twenty Violets logo and decorative fringe. 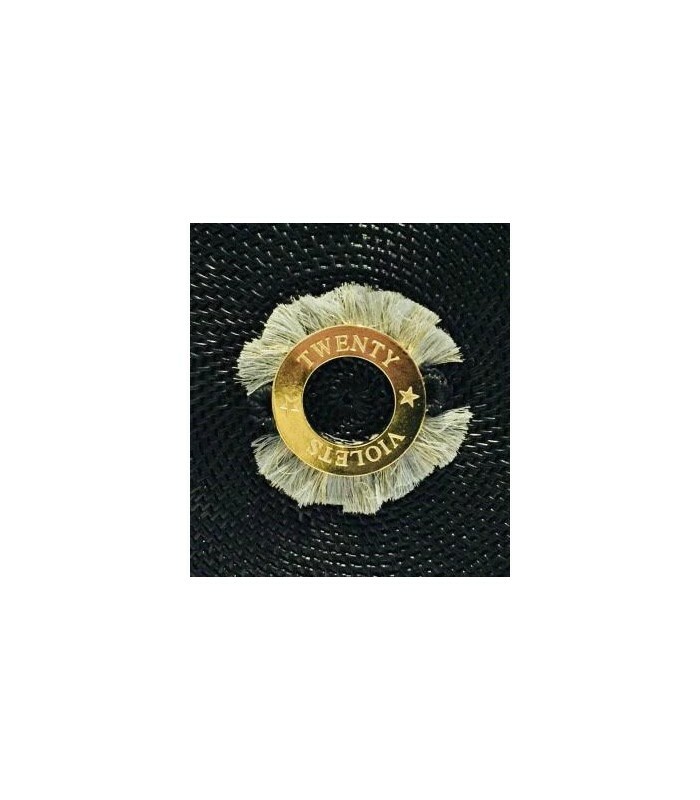 Belt of 55 centimeters (110 centimeters).